Hi all, I’ve just finished my XV-01 long damper spec build and I must say I’m very impressed with the quality of the kit and design. However I do need a body to go on it as this needs to be a runner. I’m Concerned about clearance due to the bigger shock towers and not sure which fit body’s fit apart from the stated compatible evo and Impreza shells. I’m not keen on either of them. what are others using on these that fit well? Most rally body’s will fit if it’s being run as off road. If you want to run lower profile body’s on the road, the stock towers are included in the box just pickup a set of micro (m chassis) shocks to go on it. You don’t lose much travel over the stock long damper setup. To get the most travel out of the XV01 long damper towers you will need a set of CC01 or GF01 alloy dampers. And a whole pile of grinding and cutting the suspension parts to allow the extra available droop. It needs hard sway bars after that mod or there is too much traction leading to constant rollovers. Not wanting an Evo or Subaru cuts out a large number of rally cars but there's the Toyota Gazoo Racing TRD 86 and Toyota Gazoo Racing WRT. 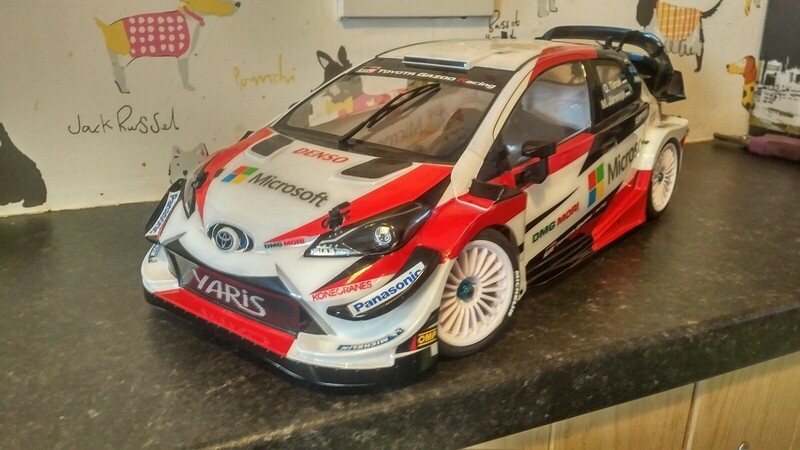 Yaris WRC is a cool body and quite easy to paint and decal. I chose to do mines in full tarmac spec, but it's just at home with high ground clearance ready for a gravel stage 👍. I like the Yaris is it 257mm? I’ve just finished my XV-01 long damper spec build and I must say I’m very impressed with the quality of the kit and design.